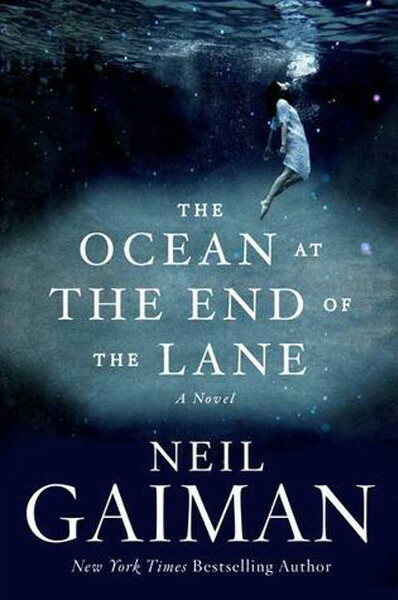 Despite being one of his shortest novels, The Ocean at the End of the Lane is in some ways the quintessential Neil Gaiman novel. An unnamed narrator in England returns to his childhood neighborhood following a funeral, visits the house of a girl he knew, and recalls the events of four decades earlier, the adventures the two of them shared over the course of a few days when he was a boy of seven and she a girl of eleven. The girl, Lettie Hempstead, and her mother and grandmother (Mrs. Hempstead and Old Mrs. Hempstead) have a pond in the back yard of their farm, which is at the end of the lane where the narrator lived. Lettie calls it her ocean, and says that the three of them travelled across it when she was much younger. The narrator is a bookish, lonely lad who has had several degrees of tragedy visited upon him shortly before he meets her, but after a man dies near the Hempstead farm, he learns that the Hempsteads have connections to exotic, impossible lands. A moment’s lapse in judgment (or perhaps bravery) causes our narrator to become the focus for a dark entity which bedevils his neighborhood and which he and the Hempsteads have to get rid of. There’s no doubt that the narrative is powerful: The pitfalls and tragedies which befall our hero in the first few chapters are keenly felt – so much so that the book is at times a hard read, because it’s really not pleasant. The book after that is a roller-coaster ride of ups and downs. Gaiman’s storytelling is always arresting, and this short book is crisply paced and pulls you along. It’s the first book in a while that I’ve read in a single day. Still, Ocean also has many elements which frustrate me about Gaiman’s work, and they largely come down to the vagueness of the setting and communication of the ideas. The narrator is nameless, his background murky. He’s not a total cipher, but it’s very difficult to connect to him; rather, he’s a vessel for event around him, rarely acting, and if anything his actions are often bad decisions which sometimes work out and sometimes go wrong. Likewise, the Hempsteads and their larger world are left vague, with hints dropped about who they are (I infer they’re an incarnation of the Moirai, whom Gaiman has used in The Sandman), but with connections to other lands, their own apparently no longer existing. But what it all means, and what they can do, is only hinted at. Gaiman’s stories are often trying to evoke myth, legend and folklore, and while I don’t expect every last thing to be explained, Ocean leaves too much to the imagination for my satisfaction. The story is a fun read, but the ending feels empty. The narrator doesn’t seem to have substantially changed – because the story isn’t about him. It’s not about anyone, really; it’s about moods, and settings, and a series of events, but the emotional impact of the resolution doesn’t come close to matching that of the set-up. Gaiman is a consistently enjoyable novelist, but American Gods remains his only novel I’d call “great”. I have no doubt that books like Ocean are exactly the books he wants to write, but I always feel like they need more development to feel really satisfying. Perhaps it’s the short length of Ocean drives that home particularly well. To be sure I enjoyed reading it, but after finishing it I was surprised at how slight it felt in hindsight.